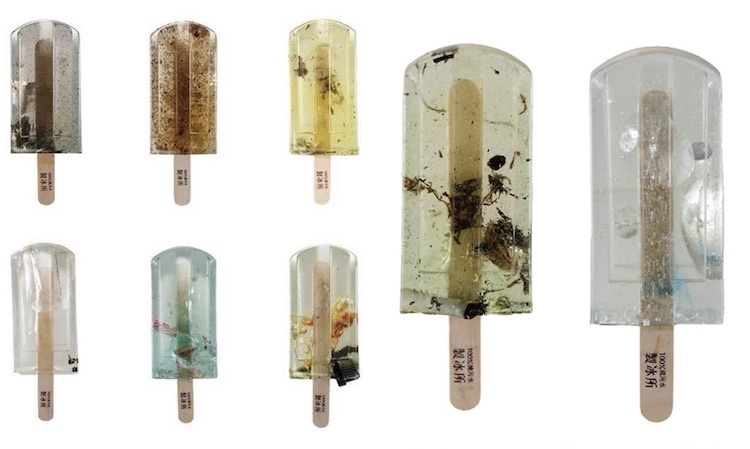 Three design students in Taiwan teamed up for the Polluted Water Popsicles project, which contrasts art aesthetics with environmental activism. 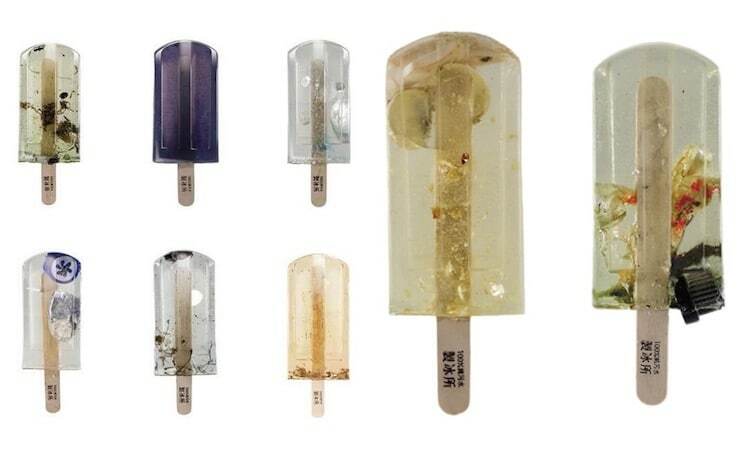 The group went to 100 different polluted water sources in Taiwan, collecting samples that they then froze into popsicles. 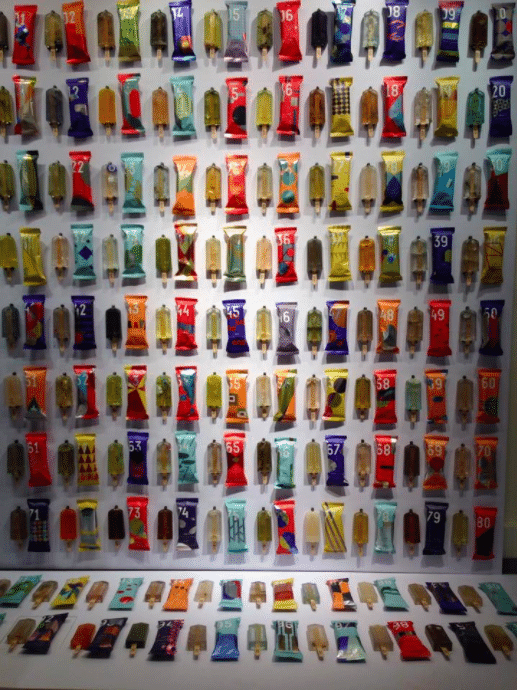 These popsicles were then turned into 1:1 poly models and wrapped in beautiful packaging to contrast our tendency to overlook that which is ugly and problematic for the sake of aesthetics. The award-winning pollution art project has gained viral attention in Taiwan—a look at the group’s Facebook page shows exhibitions in museums and interviews with national news. As Taiwan has seen a rise in water pollution due to its rapid economic growth and urbanization, it was important for the students to call attention to the issue. In collecting water from central areas that people often pass by, but overlook, Polluted Water Popsicles forces us to face the insidious issues beneath what we perceive as harmless. Much as one is tempted to take a lick before looking closely at what the popsicle really contains, we often overlook the importance of water purity. 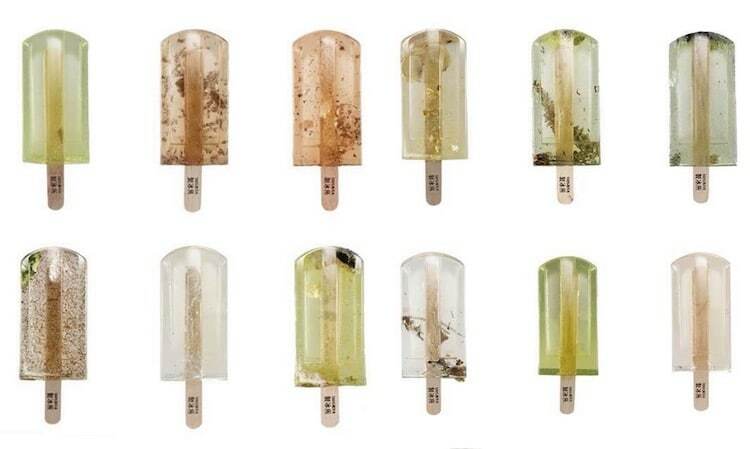 All images via Polluted Water Popsicles.